Have the peace of mind with this cheap internet security offer for 1 year. Download McAfee Internet Security and rest assured that you will be getting a top-notch, all-around security from spam, malware, spyware, viruses, privacy data intruders and much more. Most importantly it will protect your home network protection and all devices connected to it with its next-generation anti-malware technology and LiveSafe Protection technology. 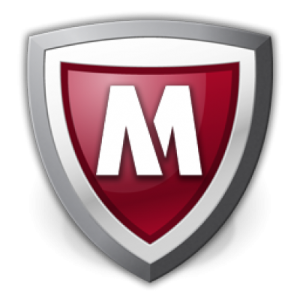 Versatile and universal the Internet Security includes the famous McAfee WebAdvisor that will protect you from suspicious websites and risky links. Then there are the PC optimization tools which will optimize the performance and speed up your computer. With one purchase you will get protection for a wide variety of devices like Apple iMac, iOS iPhone, iPad, and Android smartphones and tablet.With one purchase you will get protection for a wide variety of devices like Apple iMac, iOS iPhone, iPad, and Android smartphones and tablet. For enhanced security, there is the social media guard feature that will protect you from malicious post and activity on social media. The anti-spam security gives you full control of your inbox and keeps your inbox safe from phishing, spam, and misleading ads. The Internet Security is completed by the parental control features giving users ability to block unwanted websites from kids. An all-round cheap Internet security software that can offer amazing benefits! Read more and buy it here.